Working with Mark Thompson Life Sciences we offer a tailored course for the 'Qualification of Thermal Systems'. This course will start by introducing a methodical approach to assessing the quality critical impact of any thermal systems. Linking to the VMP for the site this approach will help to define the qualification and requalification requirements. This is the basis for justifying the whole approach, as described in Annex 15. The course then goes into the detail of thermal measurement systems, options (pros and cons) for different technologies and different data logging options. The course programme opposite describes the sections covered. This two day course covers the qualification of thermal systems in considerable detail from initial assessment to ongoing requalification trending and data review. ​It is possible through careful design and initial qualification to establish some thermal systems that are continuously verified by the installed monitoring, therefore requalification becomes a documented review rather than physical thermal placement. • Process Risk Assessment Based upon Operation. • Data Logging options and Data Integrity. • Calibration, Verification and Recalibration. • Validating The Validation System. ​• Understanding the Thermal environment to be Qualified. • Execution; Set up, Calibration, placement, data collection. • Data review and Reporting • Handling deviations. • How to maintain the Qualified State. The course is designed for validation technicians and engineers who need to establish and execute qualification programmes for thermal systems. QA representation from people involved in review and approval of the protocols and presented data would also benefit from this training. ​Mark Thompson is a Chartered Engineer with over 25 years experience in the Life science industries. Mark has worked all over the world with hundreds of organisations, delivering training to thousands of people. This has included delivering training courses for regulatory inspectors from China, Saudi, UK, Ireland, Italy, Denmark and the Netherlands. 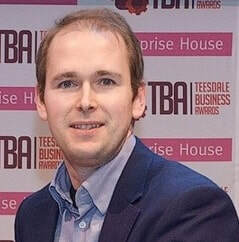 Chris is the Managing Director of Thermal Compliance Ltd who specialise in the qualification of Thermal Systems. With over 15 years of hands on Validation experience in problem solving. Thermal Compliance in the Thermal and Biological Validation of Sterilisation processes along side Temperature, Humidity and CO2 Mapping of Controlled Temperature Units. Chris has a detailed knowledge of Validation systems and the use of wireless dataloggers for the Qualification of Thermal Systems.